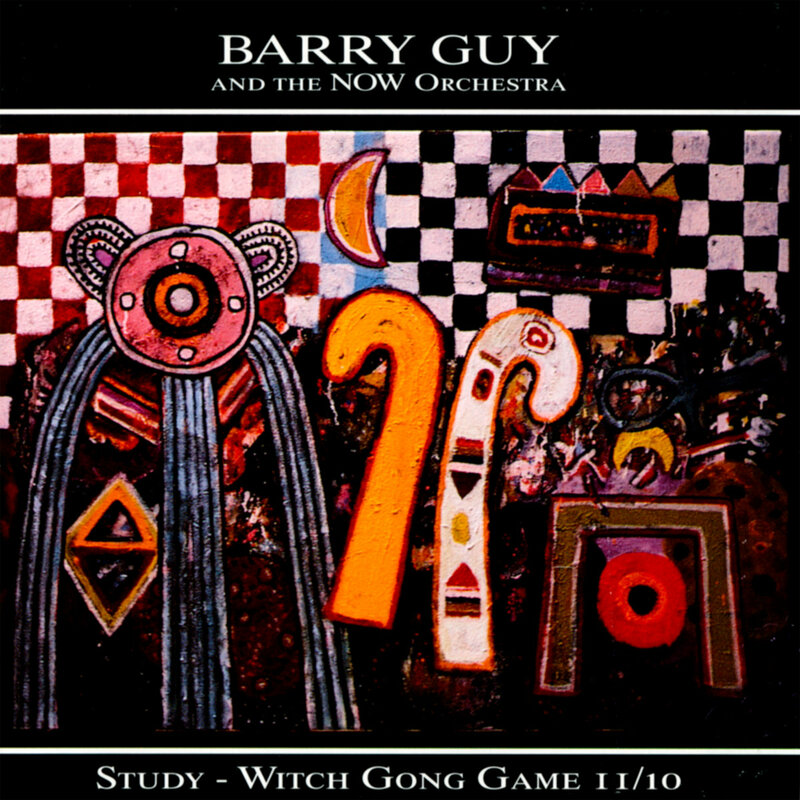 British bassist Barry Guy has expressed a vast affinity for the visual 'language' of Scottish painter Alan Davie's works and here delivers a sonic echo of Davie's Witch Gong Game II/10 alongside the shorter composition Study. With Vancouver's New Orchestra Workshop, Guy engages one of music's most intractably non-visual problems. That is, Guy's desire to image visuals in sound is de facto next to impossible. Compressing time so that a musical piece doesn't unfold along a time line but rather leaps forth, as an arresting visual image can, is at least one of Guy's compositional strategies. Davie's paintings, in the words of liner notician Bill Smith, are "deconstructed to reveal the signs that are then used to generate a new language appropriate to the special needs of improvisers and composer alike". The musical tumult is aptly undulatory, with assertions of sound merging into such a mass that colour is an obviously nearby reference point, even though I couldn't name the colour Guy invoked, but I can feel it thoroughly. Oscillations between group statements, phrased as swirling masses of sound that trade contours as differing instruments supply their individual (and stretched) pitches to the maelstrom, and solos create a musical experience so massive as to be perhaps one of Guy's finest compositional expanses. Of course, his work with the London Jazz Composer's Orchestra, the Evan Parker, Paul Lytton trio, and a myriad of other combos is all comparable in terms of greatness, vigour, and the incredible melding of free improvisation and composition in a very late 20th-century bag. But with NOW, Guy's prowess is engaged by a collective of Canadian musicians who haven't had the years of work with the bassist that their English counterparts have. Pianist Paul Plimley, soprano saxophonist Bruce Freeman, vocalist Kate Hammet-Vaughan, et al though, make distinctive contributions, whether pummelling the piano, soaring vocally into the stratosphere, or squiggling in a recess so distant that in highlighting the rear-sounds, Guy succeeds in low lighting the front – sounds, making this painterly in the way a visual artist reverses primacies like foreground and background to upset the smugly balanced watchful gaze of viewers. Dig the reproduction of Guy's graphic, single page score and its quirky arrows, symbolic renderings of improv units within the orchestra, and embodiments of celestial maps from ages long ago.